[box] What if we lived in a world where our education was a mentor-centric venture and all the nations in the world held Mentorology as the highest value for both men AND women equally? Would you want to live in that kind of world? Education is precious so we need to fight for it just like Malala Yousafzai did, and is doing, in Pakistan. That is the foundational belief guiding this story by one of our favorite guest writers, Sarah Gross. Sarah has written for us before as she pursued her undergraduate degree at UC Davis. She has delighted us all with in-depth inquiries into mentoring issues. For example: Lady Gaga and the anti-bullying crusades of 2012, how Lenny Kravitz addresses race issues and Bob Marley’s mentoring legacy. Now in pursuit of a combined teaching credential/ Master’s of Education program, Sarah is teaching at a middle school & high school while taking classes. Somehow she still finds time to write for Over My Shoulder Foundation. We sure are grateful! This morning, I woke up early and drove to the middle school where I am an English teacher to 7th graders. As I greet them every day, I see different personalities, ethnicities, and genders. Each student comes into the classroom with their own unique story, their own values, and their own personal background. These students are individuals who enrich the classroom environment. It is an adventure to teach them all, and I learn from my students as much as they learn from me. When I think about my life at this point, I see myself maintaining a daily routine where my identity as “teacher” is synonymous with providing quality education to all who enter the classroom. This lifestyle—teaching all adolescents within a classroom, no matter their gender or background—is somewhat taken for granted in the United States. Teachers are common threads in the tapestry of American society. I do not take my profession for granted, but it is an easy thing to do when I have lived in a country where access to education is a guarantee. There was no question that I would go to school and receive at least a high school education. There is similarly no question of an education for my 7th grade students. They are already taking field trips to Universities, and the curriculum is designed to lead these students on the path to college. With these guarantees in place, where students are set up for future success, it is easy to forget that not all countries share the view that its citizens should have access to education. Yet, one incident is enough to remind us of how precious education really is; of how important teachers are; and of how important individual students are in their role as shapers of the future. That one incident came just a week ago. 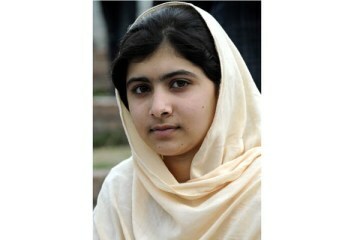 A young girl—teen activist Malala Yousafzai—was shot in Pakistan by the Taliban for campaigning for girls’ education. Despite living under a highly patriarchal regime, where education to females is viewed as a threat, Malala has fought for the education of girls like herself. She has maintained a blog and has starred in a documentary to bring awareness to the issue. Her efforts even won her the National Youth Peace Prize. While campaigning, she received threats from the Taliban, who wished to silence her radical ideas. A powerful soul like Malala’s, however, cannot be silenced. Though living under the shadow of these threats, Malala did not allow this darkness to blunt the shining light of justice she carried through the Swat Valley. Her resilience casts her in the role of a martyr, sacrificing herself for neighbors. The outpouring of emotion and the unifying effect brought on by the shooting, however, lifts Malala into a position even more powerful than that of a martyr. The news reports of the incident, widely circulated and showing communities joined together in prayer, are evidence that Malala is no ordinary victim to Taliban threats. Rather, her actions and what she stands for bring certain gravity to the situation that has resonated across the nations. Malala is not just a martyr: she is symbol of hope and peace for a broken community. Most importantly for young girls, she is someone to look up to. She is a role model. She is a mentor. Malala’s courageous efforts reveal the level of injustice she has lived with. When comparing her life to the life of a girl growing up in the United States, I cannot help but notice the painful disparity. We can take this incident of darkness as a sign of hopelessness. We can feel despair for Malala and the girls in her country, and grateful that we live in a better place. I choose to do neither. I choose to honor Malala, to honor her courage and resilience, and to mark this incident as the dawning of a new era of hope for girls across the globe who deserve an education. Malala is truly a mentor for all of us. As a teacher, I am reaffirmed in my belief that I can make a positive difference in the lives of my students, because they all—boy and girl—are receiving the same education. I can advocate for the students here in the United States, and spread the word about the importance of education. On a subtler level, I can work to be a role model to my students, just as some of my grade-school teachers are still role models to me. Though what happened to Malala is a tragedy, it is something we, as country, can learn from. A Newsweek author opines, “Who will speak for [Malala] now?” In answer to this, I say that “we” as a collective nation can speak for her. We can embrace this young girl, this mentor, and take up her cause for girls’ education. We should all have the right to an education, and the right to be heard. Let us, then, listen to Malala and share her words, those spoken and unspoken. Let us celebrate her as the shining light of justice in a dark world, and let us learn from her as she mentors us all.